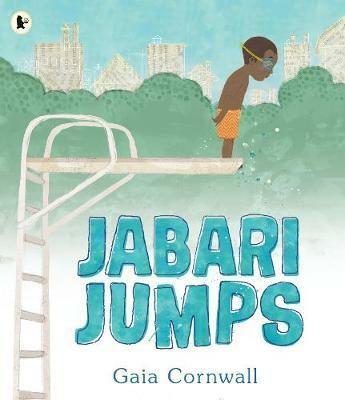 In a sweet tale of overcoming your fears, debut author-illustrator Gaia Cornwall captures a moment at the swimming pool between a patient and encouraging father and a determined little boy you can't help but root for. Gaia Cornwall is an illustrator who loves making patterns for surface design. Her work can be seen in magazines, in logos, on various products, and even in movies. Jabari Jumps is her first picture book. She lives in the USA, in Rhode Island. Find her online at gaiacornwall.com and on Twitter as @GaiaCC.